Seorang sahabat bertanya apa signifikannya perayaan Hari Malaysia selepas perayaan hari "Merdeka" yang diadakan 16 hari sebelumnya. Kedua-dua perayaan nampak sama. Seorang lagi kawan menyampuk. Dia mengatakan perayaan hari kemerdekaan sebenarnya berjalan sebulan, dan bulan itu disebut "bulan kemerdekaan". Kawan yang mula-mula tidak bertanya lagi, mana satu pulak perayaan "Hari Kebangsaan". Masing-masing berpandangan. Saya merumuskan nama-nama perayaan yang diberi kepada "perayaan kenegaraan" kita itu telah melalui pelbagai perubahan dan hanya difahami oleh mereka yang terlibat secara langsung dengan perayaan tersebut. Sama ada pihak agensi yang menganjurnya atau stake holder lain yang ada kaitan dengannya. Orang yang mengambil bahagian di dalam perbarisan perayaan juga belum tentu mengetahui perbezaan perayaan dan nama-nama yang berkenaan itu. Apakah ertinya semua ini dalam kontaks satu bangsa? Antara perayaan-perayaan ini perayaan Hari Malaysia sewajarnya dijadikan perayaan utama di negara ini kerana inilah satu-satunya perayaan nasional yang sebenar-benarnya diterima dengan sepenuh hati oleh rakyat Malaysia. Semua orang mahu mengaitkan dirinya dengan Malaysia. Dimana pun kita berada kita mahukan hak sebagai anak Malaysia dengan sepenuhnya. Kita juga mendakwa inilah tanah tumpah darah kita. A FILM made in the Malay language telling Malay stories, is termed as a Malay and Malaysian film. A Malay language film about non-Malays is also considered as Malaysian films. However, Malay films are naturally and automatically regarded as Malaysian films. The society's acceptance towards Malay film as Malaysian films happened almost spontaneously. This wasn’t a cause for concern for many non-Malays, however, as most of them tend to regard films from countries like Hong Kong and India as their own. To many of them, Malaysian films are only for the Malays. Their involvements in the industry are more related to the happenings behind the scenes, particularly on the financial side. The effect of seeing film merely as a business commodity existed since the first Malay film production. Like any other form of commodity, it’s all about market value and market driven products. Film was and is not primarily seen as a product and work of art that is important for both the nation and society. Because of that, there are many different perceptions about film in this country. The lack of a constructive perspective, then, made things even more difficult, but it is not all doom and gloom. Until today, with 80 years having passed since the first Malay film was produced in 1933 (Laila Majnun, produced by Motilal Chemical Company, Singapore), there is not one mainstream film that is produced for non-economical reasons (with the exception of a few government films produced by Filem Negara Malaysia [FNM]), that can be categorised as more like public service announcements films (PSA): formal and apolitical in terms of the filmmaking style. Examples of this can be seen in ‘Gelombang’ (1980), ‘Bila Hati Telah Retak’ (1983) and ‘Cempaka Biru’ (1989). The multicultural society in Malaysia generally watches their own films, in addition to the imported Hollywood and English films. Films not defined as their own are rarely given much attention, apart from those considered to be unique in their style and/or substance. Generally speaking, Malay films would be patronised only by the Malays, while Chinese and Indian films would be watched by the Chinese or the Indians. Because of this, a lot of the Chinese and Indian community in Malaysia, especially from the older generation, consider the culture and lifestyle presented on the screen as their own. Though other factors are at play, this doesn’t necessarily help with the assimilation process to the local environment and lifestyle, and may become an obstacle to some in efforts to establish the feeling of ‘belonging’ to Malaysia. Even the effort of the few to release Chinese and Indian films made in Malaysia does not receive a great amount of support, due to the low perceptions held regarding these films. The attraction of Chinese films from Hong Kong, Taiwan and China and films from India are so big that the local Chinese and Indian-language films are often seen as unworthy. This compartmentalised the viewership of films in Malaysia, mirroring other such divisions in society, like the separation between vernacular and national language schools. This situation also mirrors the cultural and language differences amongst the general Malaysian society that can still be problematic, even though the elements and foundations for unity were laid before Merdeka. There are also those who feel that because Malaysia is a multi-racial and multi-cultural nation, Malaysian films must not just be about the Malays and should indeed be multi-racial, multi-cultural and multi-lingual. This view is correct from one standpoint, but wrong from another. A film needs always be on the basis of what the film is all about. If the story is about people of various cultures, the film must convey that story idea. If the story is about a particular family or individual from a certain cultural background, it must also convey that. We cannot have all races, all languages and all culture in all movies without strong filmic reason. After all, film has often been associated with the society that it represents, sometimes including the society that the maker is not necessarily a part of. In such a repressive, competitive and open situation, film becomes an important asset and tool. It doesn’t just selectively document, disseminate and portray a slice of life, but it also gives a permanent definition from a certain perspective, which will later become ‘history’. Today, nearly all the communities and societies of the world use film to strengthen their positions. In this context, Malaysian films becomes a film by Malaysians and one that looks at Malaysia without considering too much about the language, culture, or race that is portrayed. It is actually something that reflects the reality of everyday life for them. It contains the heart, dreams, imagination and intellectual sensuality of the modern day Malaysians. Furthermore, being a Malaysian film doesn’t necessarily mean that it’s multi-lingual. There is no need for aimless, pointless multi-culturalism, without any of the cinematic reasons that shows the great ideas of an artist. With the arrival of the new generation, even though they started out with digital video, it is an effort worth commending, one that tries to instil in society more confidence in locally-produced works. This development, thus far, has been well received, because it enriches the intellectual treasure that is the form of visual arts related to the lives of Malaysians. After all, what can be seen in a film is a ‘consciousness’ – the ‘consciousness’ of the filmmaker, as well as the collective ‘consciousness’ of a civilisation. When we talk about films on a national level, the factors that shape these levels should be given such attention, because these are the factors that decide the flow and content of a nation’s identity. Should Malay Films continue to be Malay Films? One approach that should be continued is the furthering of Malay films. The production of Malay films should be increased in quantity and quality. This is because Malaysia is the only country whereby Malay films can be produced. Without Malay films from Malaysia, it can be said that there will be no Malay films in the world. Another reason is that there is still a lot of other Malay and Malaysian issues from Malaysia, as well as from the Malay Archipelago, that can be translated into film. Reducing the production of Malay film and producing Malaysian films on the excuse that Malaysian films have to be multi-racial and multi-lingual will marginalise a strong film source or idea, and will also diminish the importance of Malay history and culture. It is a culture that may well disappear. At the same time, the production of Malaysian films from the perspective of the non-Malays should also be encouraged. The production of films like ‘Homecoming (Lee Then-Jeen, 2010)’ and ‘Nasi Lemak 2.0 (Namewee, 2011) suggests that a viable production model acceptable by all can be found. This will improve the standing of film in society and film as a medium and source of culture that benefit the nation. Another step that could be taken by all relevant parties is to increase the number of film appreciation activities or programmes in a structured and scheduled manner, so that the attention paid towards local films could be increased. This is of critical importance, seeing how low the audience numbers for local films are if compared to our population of 26 millions. Compare this to the Czech Republic, who have around 10 million people, but can depend on around 1 million of them (10%) to watch their own films. If we can increase the number of viewers even by 5% (1.3 million) of the total population, it would certainly change the overall picture of the local film industry. At the same time we could also look at other countries and consider how they develop their own films; South Korea, for example, imposes a quota system to protect their local filmmakers. The new generation of film audience members have a different perception and exposure compared to the previous generation, and with this comes a different viewing trend. If there is no programme to encourage further appreciation towards our own local films, Malaysian films, Malay or otherwise, will not have a chance of strong showing. Only through a consistent, holistic, and well-planned approach will the situation change. Other areas that can be looked at is further exposure about all aspects of filmmaking, including further training to those who currently active in the industry. We can also work to strengthen relations and networking, and providing practical encouragement for filmmakers to take Malaysian films beyond Malaysia. This networking will help to increase Malaysian film appreciation not just within the country, but also without. One other important factor is to create a fund for young artists. This fund can be used for various activities, like script development, but with an especial focus on encouraging the number of young directors with quality. Only through such efforts will we find the diamonds in the rough. The issues and problems of the film industry are constantly changing with the winds of time, and so long as there is an effort to improve the making and content of local films, then the sky will truly be the limit as to what we can achieve. To conclude, it is very right for Finas to support activities outlined in the ‘Young Film Makers Forum (YFF)’, and Festival Filem Pelajar Malaysia (Malaysian Student Film Festival) which is in its 9 years now. INSTITUT KESENIAN DAN KAJIAN MEDIA MALAYSIA (SEMESTA) menyeru kerajaan terus melaksanakan program “MEMERTABATKAN BAHASA MELAYU DAN MEMPERKASAKAN BAHASA INGGERIS” di sekolah, dan melalui agensi-agensi kerajaan di seluruh Negara seperti yang dirancang, tanpa membuat sebarang perubahan yang mungkin boleh menjejaskan matlamatnya. Berdasarkan kajian institut ini, landasan yang telah tersedia selama ini sama ada melalui undang-undang dan peraturan sedia ada, dan kaedah pembelajaran di sekolah rendah, menengah dan IPT, telah mencukupi untuk menjadikan bahasa itu bahasa kebangsaan dalam erti kata yang sebenarnya. Keadaan ini juga boleh dengan cepat menjadikan bahasa Melayu sebagai bahasa ilmu yang setara dengan bahasa-bahasa ilmu yang lain di dunia. Menurut kajian Semesta masa selama sepuluh tahun sahaja diperlukan untuk menjadikan bahasa ini bahasa utama, di Negara ini. BAHASA TIDAK MENUNJUKKAN BANGSA ? PEPATAH Melayu “Bahasa menunjukkan bangsa” mungkin tidak pernah didengari kebanyakan Melayu hari ini. Ia sangat jarang disebut oleh orang zaman ini. Barangkali kerana pepatah tidak membawa apa-apa makna kepada keperluan kehidupan. Pepatah bukan barang mewah, bukan barang yang mengenyangkan perut. Pepatah juga bukan gambar bergerak yang memukau. Lantas bahasa menunjukkan bangsa itu ada tidak ada tidak menjadi hal. Tetapi, tahukah kita pepatah tersebut sebenarnya adalah laungan tidak berbunyi, laungan yang besar yang mengingatkan kita tentang tanda hadirnya kita di muka bumi ini. Apa lagi kalau pepatah itu bermaksud kita sebagai suatu bangsa, suatu tamaddun, suatu peradaban. Apabila negara mencapai kemerdekaan Bahasa Melayu diangkat secara rasmi sebagai bahasa kebangsaan. Seluruh rakyat menerimanya, kerana sememangnya bahasa tersebut bahasa yang sudah di’kebangsaan’kan oleh masyarakat sejak dari zaman kerajaan Melayu Melaka atau sebelum daripada itu. Bahasa Melayu juga sudah menjadi bahasa serantau yang digunakan oleh 200 juta rakyat Nusantara. Mungkin ungkapan Nusantara pun ramai Melayu yang tak pernah dengar. Tidak ada bahasa lain yang luas penggunaannya di negara ini, dan di rantau sebelah sini, walaupun bahasa Inggeris yang dikatakan utama dan penting itu, sekalipun. Sebagai sebuah Negara, Malaysia misalnya perlu bergantung kepada mekanisme tertentu untuk mengukuhkan jatidiri, kesatuan dan nilai negara-bangsa rakyatnya. Dasar tertentu yang menjurus kepada pembinaan negara-bangsa perlu dilaksana dan diberi keutamaan. Penekanan ini menjadi lebih penting apabila keadaan masyarakat negara ini merupakan masyarakat majmuk yang masing-masing mau kedudukan kelompok mereka diutamakan. Malangnya kelompok (kaum) masyarakat ini begitu berasingan kerana mereka bukan sahaja berlainan bangsa, berlainan bahasa, berlainan agama, kepercayaan dan adat resam, tetapi juga berlainan keinginan, dan keinginan tersebut selalu kelihatan sebagai bertentangan antara satu dengan lain. Masing-masing kaum masih terus mau menjadi diri mereka dan hidup sepenuhnya dalam keadaan mereka yang tersendiri. Satu-satunya mekanisme yang ada dan boleh digunakan sebagai titik pertemuan mereka ialah melalui ”bahasa” yang boleh difahami dan digunakan bersama. Bahasa ini ialah bahasa kebangsaan. Tidak ada bahagian lain dalam kehidupan mereka boleh digunakan untuk menemui dan menyatukan mereka dalam erti kata yang sebenaranya. Tetapi, malangnya walaupun negara telah merdeka selama 54 tahun usaha pengukuhan kesatuan rakyat bagi pembinaan negara-bangsa dengan melalui bahasa kebangsaan tidak memperlihatkan kemajuan. Terlalu banyak perkiraan politik sebagai penghalang kepada usaha ini. Suatu perkara yang amat menggusarkan walaupun generasi hari ini sebahagian besarnya merupakan generasi kelahiran selepas merdeka, dan semuanya merupakan anak kelahiran Malaysia, persoalan perbezaan kaum masih tidak selesai. Malah antara satu kaum dengan yang lain wujud semacam kecurigaan, dan rasa tidak mahu melihat kaum yang lain mendapat peluang lebih, begitu meluas. Dari sudut inisentimen perkauman sebenarnya lebih buruk daripada sebelum negara mencapai kemerdekaan. Keadaan ini terjadi kerana kegagalan kita membina generasi Malaysia sebenar melalui sistem persekolahan yang satu yang matlamatnya bukan sahaja memberi pendidikan, tetapi juga menjadikan mereka rakyat yang kuat cintanya terhadap negara dan bangsa. Kepelbagaian sepatutnya telah menjadikan kita kuat, tetapi kepelbagaian yang tidak dijaring oleh ikatan menyebabkan kelpagaian itu menjadi batu penghalang yang memecahbelahkan dan boleh menghancurkan negara. Langkah kerajaan menambahbaik pembelajaran di sekolah yang memberi penekanan terhadap pembinaan negara-bangsa melalui pendekatan ”Memartabatkan Bahasa Melayu dan memperkasakan Bahasa Inggeris” (MBMMBI) sebagai ganti kepada konsep pembelajaran bahasa Inggeris bagi matapelajaran sains dan matematik (PPSMI), adalah langkah yang sangat baik dan tepat. Walaupun terlewat 54 tahun tetapi ianya masih dianggap sebagai langkah yang tepat. Matalamat MBMMBMI adalah menghasilkan kesan menyeluruh di semua sekolah seluruh negara. 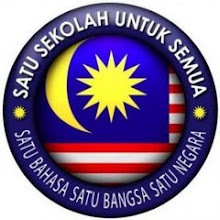 Dalam bahasa mudah sekolah akan menjadi tempat melahirkan generasi yang fasih dan cinta dengan bahasa Melayu sebagai bahasa kebangsaan disamping mereka juga mahir dalam bahasa Inggeris. Program membina generasi yang seragam ini bukan hanya bertumpu kepada mereka yang mengambil sains dan matematik sahaja. Negara memerlukan lebih dari kebolehan sains dan matematik untuk menjadi teguh dan dihormati. Seseorang yang baik penguasaan bahasa Melayu dan Inggerisnya tentu tidak menghadapi masalah dengan bidang sains, teknologi dan inovasi, sekiranya ia diperlukan membuat ujikaji dan rujukan lanjutan kerana pemahamannya lebih mendalam. Pada hari ini di universiti di seluruh negara pelajar tempatan yang membuat pengajian lanjut termasuk dalam bidang perubatan, kejuruteraan, sains kesihatan, fizik, kimia, perakaunan, kajian angkasa lepas tidak menghadapi masalah dalam pembelajaran mereka, walaupun sumber rujukan persuratan mereka adalah dalam bahasa Inggeris. Sebagai sebuah negara yang patut diutamakan oleh sebuah kerajaan ialah pembinaan negara-bangsa dan upaya rakyatnya. Mempelajari sains dan matematik dalam bahasa kebangsaan bukan sahaja boleh meningkatkan pemahaman dan penguasaan ilmu dalam bidang berkenaan oleh anak-anak tempatan, tetapi juga dapat meningkatkan nilai keilmuan bahasa tersebut, sekaligus bahasa tersebut berkembang dan boleh menarik minat masyarakat luar mempelajarinya. Jaringan Melayu Malaysia (JMM) mendakwa kajiannya mendapati 55 peratus ibu bapa mahu anak mereka belajar sains dan matematik dalam bahasa Inggeris. Ini juga bermakna kira-kira 50% ibu bapa mahu PPSMI ditiadakan. Peratusan tersebut sekiranya benar, bukanlah peratusan yang besar sehingga perlu dirombak dasar baru yang telah digubal, iaitu dasar yang mengambil kira rekod prestasi, kedudukan sekolah, pencapaian murid dan lain-lain. Kalaupun data yang berkenaan diperolehi dengan sangat berwibawa saya kira ianya hanya sesuai untuk diambil kira bagi penambahbaikan dan pengukuhan pelaksanan MBMMBI itu. Apatah lagi dapatan kajian tersebut juga tidak boleh dirujuk sebagai utama kerana ia adalah hasil kajian terhadap ibu bapa semata-mata. Saya yakin penyelidikan melalui ujian keatas pelajar, guru, sekolah, kedudukan sekolah dan peralatan pembelajaran adalah lebih tepat berbanding penyelidikan keatas ibu bapa sahaja. Yang menjadi pertanyaan ialah mengapakah sebuah badan yang dikatakan mewakili orang atau kumpulan yang mahu melebarkan jaringan Melayu membantah program yang mahu memperkasakan Melayu melalu bahasa dan budayanya. Bagaimanakah badan ini mahu menjaringkan bangsanya kalau ia tidak didahului oleh budaya fikir dan bahasa bangsa itu? Ini sangat mengelirukan. Dalam perkara ini sebenarnya Melayu tidak perlu menjadi bangsa lain untuk menjadi besar. Melayu yang besar adalah Melayu yang membawa bersamanya khazanah dan warisan kebesarannya sepanjang zaman. Bahasanya yang dimajukan adalah alat yang boleh menjadikan bangsa Melayu itu besar jaringannya. Beberapa orang kawan menelefon menanya pandangan saya mengenai penubuhan "Creative Content Industry Guild". Sebagai seorang yang telah bergiat sebagai karyawan dalam bidang penerbitan filem dan televisyen dengan sedikit sebanyak pencapaian, iaitu telah merasai pahit manis berkerjaya sebagai independent practitioner dalam tempuh yang agak lama; dan sebagai seorang yang telah terlibat sebagai pensyarah di kolej dan beberapa universiti menyelia, mengajar, menjalankan penyelidikan dan memperkatakan pelbagai aspek yang berkaitan dengan filem dan perfileman di dalam dan di luar negara; dan, sebagai seorang yang pernah terlibat mengasaskan persatuan perfileman, memimpin beberapa persatuan dan badan gabungan yang sedia ada, saya rasa yang diperlukan hari ini ialah 'idea' dan 'aktiviti' yang boleh menjana kemajuan profesionalisme setiap mereka yang bergiat secara sepenuh masa di dalam industri kita. Tak kiralah guild atau persatuan apa pun yang ingin kita "hidup" atau "matikan". Tapi yang hidup itu biarlah memenuhi objektif yang jelas dan dapat benar-benar memainkan peranan membangun manusia yang bernaung di bawahnya. Bila saya sebut membangun manusia saya tidak bermaksud tentang kebajikannya (sahaja). Saya lebih memilih memabangun profesionalisme dari untuk kebajikan semata. Kerana apabila seseorang itu upaya profesionalismenya tinggi dia akan dapat meningkatkan pendapatan dirinya dan berjaya mengurus kewangan dan masa hadapannya dengan lebih baik. Apa yang menjadi kerisauan saya ialah apakah kita begitu jelas dengan apa yang kita mahukan. Andaikata kita mahukan guild baru ini menjadi guild tunggal mengakreditasi semua individu yang terlibat dalam pelbagai sektor, dan dalam pelbagai jenis kerja yang ada disetiap sektor, berupayakah kita menggariskan suatu standard sebagai kayu pengukur bagi semua bidang kerjaya dan cabang sektor yang pelbagai itu. Dan sekiranya berjaya, matlamatnya apa. Saya kira usaha menetapkan standard bagi setiap sektor pekerjaan bidang ini niatnya bagus. Kerana apabila semua orang mempunyai standard profesionalisme yang diiktiraf kita akan dapat menghasilkan produks atau karya yang pada umumnya baik, dan secara tidak langsung ia menyemarakkan industri dan pendapatan manusia yang berada didalamnya. Tetapi, kalau itu tujuannya tidakkah persatuan-persatuan perfileman yang sedia ada misalnya sudah memadai digunakan untuk tujuan pengakreditasian (memberi ukuran standard) ini. Tidakkah konsep 'padu citra" (yang pada asalnya dipanggil 'izin produksi') yang sedang dilaksanakan Finas sekarang yang mensyaratkan penerbit, pengarah, pekerja filem dan pelakon perlu terdiri dari ahli persatuan sedang melaksanakan tugas ini? Secara peribadi saya rasa persatuan-persatuan sedia ada adalah 'guild' yang dimaksudkan itu. Guild ialah perkataan dalam bahasa Inggeris yang bermaksud persatuan atau badan dalam bahasa Melayu. Persatuan-persatuan perfileman kita seperti Film Directors' Association of Malaysia (FDAM), atau Persatuan Pengeluar Filem Malaysia misalnya sama sahaja namanya dengan American Society of Cinematographers (ASC), Film Producers's Association of America dan lain-lain. Di Malaysia GAFIM ialah Gabungan Persatuan Karyawan Filem Malaysia dan nama yang didaftarkan dalam bahasa Inggeris bagi GAFIM ialah Federation of Screen Guilds. Gafim bukan ditubuhkan untuk menguruskan festival filem sahaja. Gafim adalah badan gabungan untuk industri filem dan segala perkara yang berkaitan dengan kegiatan industri filem di Malaysia. Saya rasa Gafim dan persatuan-persatuan yang sedia ada itu perlu dimantapkan dan diperkemaskan perlembagaannya agar fokus, hala tuju dan peranannya jelas. Masalah yang ada hari ini bukan persatuan-persataun, tetapi manusia yang berada di dalamnya yang barangkali perlu lebih cerdik, atau perlukan idea yang bernas untuk menaungi ahli-ahlinya. Wahai Melayu! Keadaan Telah Berubah..
MUTAKHIR ini terlalu banyak peristiwa di pelbagai hadapan memperlihatkan betapa kejadian dan tindak tanduk pelik yang tidak pernah terjadi, berlaku di sekeliling kita. Kejadian membunuh, malah membakar orang, merogol mangsa rompakan, penderaan pd yang lemah, kejadian-kejadian ngeri diluar kewajaran, kata mengata yang tiada batas antara kaum dan kelompok yang berkepentingan bertentangan, begitu amat ligat sekali. Orang sudah tidak punya jiwa dan fikiran yang senang seperti sebelumnya. Masing-masing begitu terdesak ditekan kehidupan, apa pun alasannya..
Kebanjiran berjuta orang asing seperti dari Indonesia, China, India, Pakistan, Bangladesh, Iran, Afrika dan lain-lain meningkatkan lagi kerancakan "suasana budaya baru" di negara ini. Orang Melayu sudah tidak boleh berfikir seperti sepuluh tahun dahulu, kerana kedudukannya, penerimaan terhadapnya, haknya dan juga peranannya sudah teranjak oleh keadaan yang disebutkan di atas itu. Justru itu Melayu patut menyedari perubahan ini. Segala sesuatu yang dilakukannya hendaklah mengambil kira kedudukan baru ini. Berkomunikasi, menyuarakan pendapat secara lama, walaupun mungkin benar, sudah tidak boleh digunakan lagi. Orang Melayu perlu menggunakan nada bahasa, kaedah dan cara baru dalam membicarakan sesuatu yang dikatakan hak mereka. Ini penting agar Melayu itu sentiasa dihormati dan difahami dengan lebih baik lagi oleh orang lain. Orang lain mungkin tidak memberi reaksi yang negatif sekiranya mereka tidak merasa kedudukan mereka terancam.